Meniscus tear injury to the knee happens in car accidents with great frequency. Symptoms usually involve popping or other noises which can be audible when the knee is moved. Meniscus tear knee injuries often occur when the knee hits the dash and there is an initial bruise. An MRI is an important tool used to identify a meniscus tear which can be full or partial. Meniscus tear injuries may impair and hinder one’s walking without a noticeable limp or gait impairment. What is the range of meniscus tear injury settlements? Meniscus tear injury settlements may range from several thousand dollars to $75,000 or $100,000 or even more as each case is very fact specific. This is not a guarantee that you will get this much for a meniscus tear as every case is different. 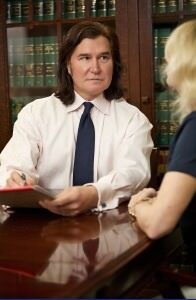 It is best to check with an injury lawyer if you are wondering what your case is worth. Meniscus tear injury settlement values will depend upon many factors which include whether there was a knee reported problem at the car accident crash scene or how soon after the car accident it was reported. Other meniscus tear injury settlement values will differ depending upon whether there is surgery involved, whether there are residual symptoms. and whether walking or running is impeded in the future. Age also plays a role as well as prior reported knee issues in meniscus tear injury cases in Oregon and Washington state. In handling these cases for many years of injury law work I know that these cases get very complicated and they do tend to end up with high value injury settlement if the case is worked up properly. A skilled attorney should be using the latest technology to get all the finer points across to the insurance and the jury if it goes that route.